PWAs Are Coming to iOS 11.3: Cupertino, We Have A Problem — Multi-platform PWAs are now possible, but right now iOS support comes with some caveats. 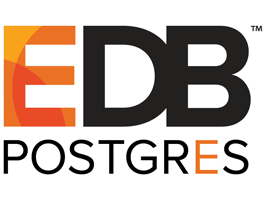 Multimodel Flexibility with EDB Postgres — Learn how the unique capabilities of EDB Postgres helps inMobi serve more than 26 billion ad impressions per month worldwide. Progressive Web Apps Are Here. What’s The Big Deal? — PWAs are mobile-friendly sites that can do many things native apps can do, and they’re coming to Firefox for Android. The Increasing Nature of Frontend Complexity — The rise in frontend complexity stems from the confluence of three mega-trends coming together to create a perfect storm. Swift Project Launches Swift Forums — Develop for iOS using Apple’s Swift? There are now open forums being monitored by the Swift team. What's New in Safari 11.1 — Introduces Service Worker support, the Payment Request API, web inspector changes and various security fixes. Swiper: Modern Mobile Touch Slider — A touch slider aimed at mobile use with hardware accelerated transitions. Demos here. Building A Progressive Web App with Stencil: An Introduction to Stencil — Using Ionic’s web component compiler Stencil to create a PWA. PhoneGap 8.0.0 Now on PhoneGap Build, iOS upgraded to XCode 9.2 — PhoneGap 8.0.0 is now available on PhoneGap Build with support for Cordova Android 7.0.0 and XCode 9.2. Using Ionic 4 Components in Your Vue.js Apps — Interested in using Ionic components, but want to stick to Vue.js? Well it’s now possible, thanks to Stencil. Mobile Application Architecture: React Native with Redux — A white paper on architecting mobile apps with React Native and Redux, including a look at Redux’s high-level components and key goals. Web and Mobile Code Sharing with Angular and NativeScript — This hour-long webinar explains how you can leverage Angular and NativeScript to streamline your dev process, bringing your web and mobile code under the same roof. React Native Pros and Cons — This article takes a look at the advantages of React Native, why it’s so popular, and some potential drawbacks you might want to consider.